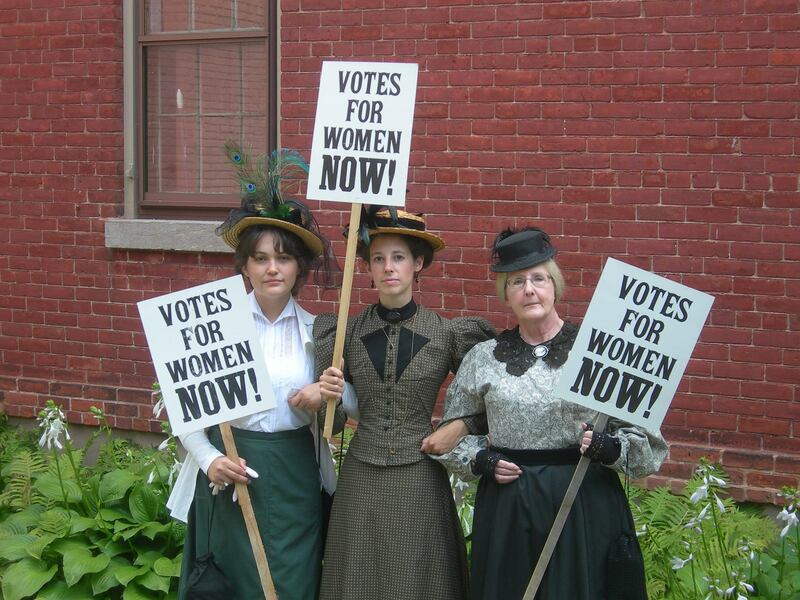 We will be taking undergraduate students to a NYS Suffrage Centennial event at the Genesee Country Village and Museum. During the event Dr. Sally Roesch Wagner will look beyond women's gaining the vote and dialogue about the issues of equality raised by our suffrage foremothers in her presentation "The Rest of the Story of the Suffrage Movement." The talk will be followed by a luncheon of foods made from recipes in suffrage cookbooks. Published by suffrage associations throughout the nation between 1886 and 1920, these cookbooks were a way to raise money for their cause. Participants will dine on a variety of dishes, including Rebel Soup and Salmagundi served with Suffrage Salad Dressing. A selection of Dr. Wagner's books will be on sale at the Flint Hill Store and she will do a book signing there after the luncheon. Admission to the historic village is included in the program of activiities focusing on lesser known equality efforts made by women in their daily lives during the 19th century will be highlighted throughout the day. Tickets are $45 if you go on your own, or $40 if you go with SBAI.